Of all the things proud dog owners are forced to pick up for the sake of their beloved pets, toys are usually the least of anyone's concern. But what if it's dark out and the thing you think is a toy on your lawn is actually your worst nightmare? Say, a live rattlesnake. 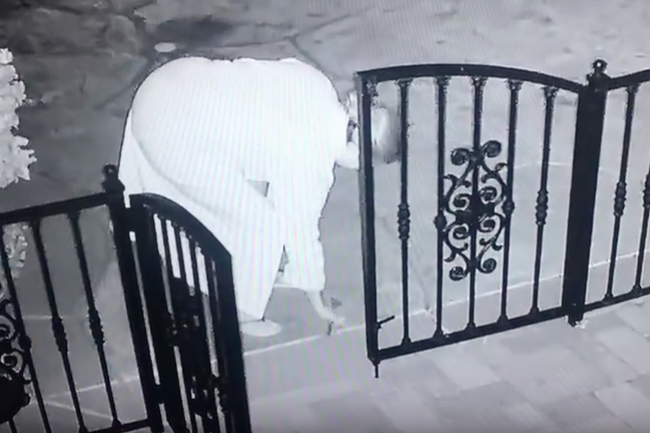 For one woman, picking up an unsightly object cluttering her gated property propelled her into overnight stardom on YouTube, much to her own horror. The instantly viral video, uploaded on the platform last week, has already generated more than 500,000 views, leaving ophidiophobics everywhere in a state of terror. The woman's husband, Ariel Rosso, singled out surveillance video of the incident from one of several cameras monitoring the property, whose location was not disclosed. "Thankfully my wife Carla was not bit, but she needs to work on running away skills!" Rosso wrote in a caption for the video. Watch below at your own nerves' risk.